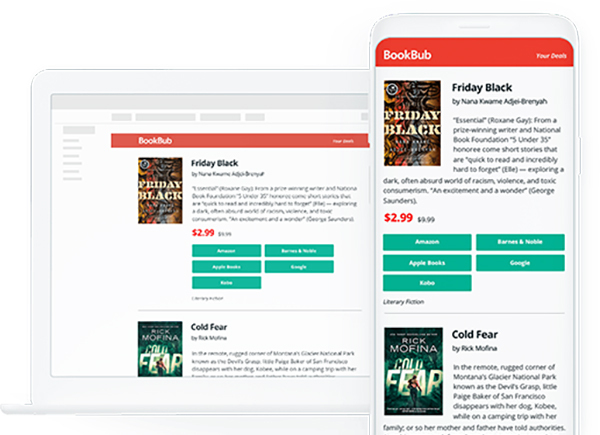 BookBub provides authors and publishers with a suite of marketing tools designed to help them achieve their book marketing goals, whether they’re aiming to drive preorders, launch a new release, promote backlist books, or build an author’s platform and visibility. 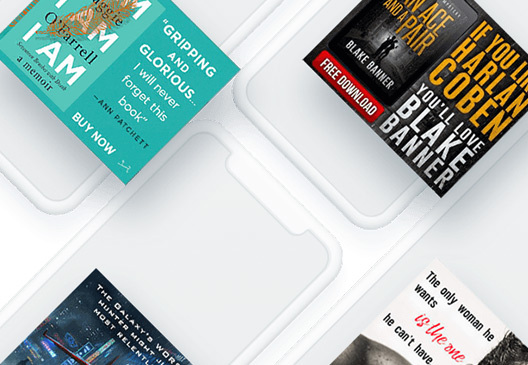 Tap into BookBub’s audience of millions of engaged, active power readers hungry for their next great read. 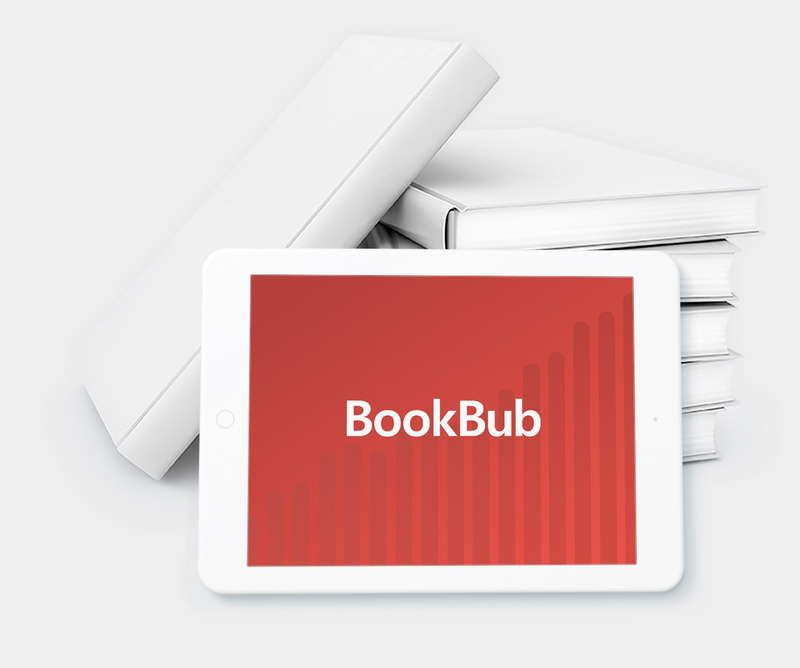 BookBub emails millions of readers each day with a curated list of discounted ebooks submitted by top-tier publishers and critically acclaimed independent authors. Our team of editors picks each day’s Featured Deals from hundreds of submissions, ensuring we only feature great deals on quality ebooks. Deals are targeted by category, letting authors and publishers reach a relevant audience of readers interested in their content and primed to purchase. Readers on BookBub can follow their favorite authors to find out when they have a deal or new release available. Sending a Preorder Alert lets you tell these loyal fans when an author has a book available for preorder. Reaching an audience of core fans — the readers most likely to preorder — is a great way to boost pre-release awareness and ensure your launch week is as successful as possible! 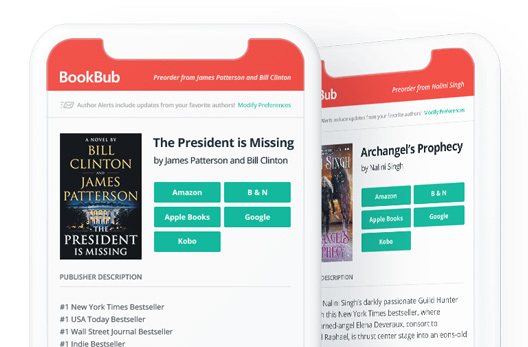 Our self-serve, auction-based display advertising platform lets you reach BookBub’s audience of power readers to promote any book at any time on any budget. With complete control over your targeting, ad design, spend, and timing, you can create a campaign tailored to your specific goals when marketing any book. And unlike other ad platforms, you know you’re reaching active readers when you run BookBub Ads campaigns. Claim your Author Profile to start increasing visibility and growing a following. The more followers an author has on BookBub, the more effective our marketing tools will be for their books. Readers are more likely to follow profiles with a photo, bio, up-to-date book data, and a rich array of book recommendations. Our weekly Featured New Release emails highlight a curated collection of new releases submitted by top-tier publishers and critically acclaimed independent authors. Our team of editors hand-selects the titles to send to millions of readers interested in the book’s genre, providing an excellent way for authors and publishers to achieve significant scale for their launch campaigns. Engage with fans by sharing books you love! Recommending books can increase an author’s exposure on BookBub and makes their profile page more appealing to visitors, helping them grow their following. 73% of BookBub’s readers want to get alerts when authors they like launch a new title! We automatically send a dedicated email alert to an author’s BookBub followers whenever that author comes out with a new release.